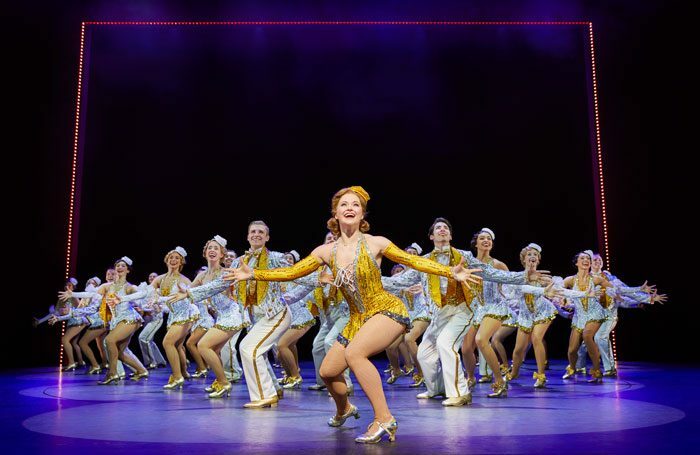 There are just four more performances of 42nd Street at Theatre Royal Drury Lane. These remaining shows also offer the last chance to visit this beautiful theatre auditorium before it undergoes extensive refurbishment. I hope it loses none of the magic when it reopens in 18 months. 42nd Street’s return to its original London home held its own special memory for me, because the original London production in 1984 was one of the first West End shows I saw with my parents. Next week, it will be 21 years since my dad died suddenly aged 59. He didn’t work in the theatre but enjoyed going and although I had embarked on my career in the industry, he died a year before I produced my first show. Two decades on, you don’t miss your loved ones any less, but you can find yourself celebrating having known them even more. Often this is triggered by memories that catch you unawares, flooding back when returning to a place you visited together. I can still remember, aged 15, going to see a performance of The Music of Andrew Lloyd Webber – a concert that had toured the world and came to the Royal Albert Hall for a season. At the end of the performance, I saw a woman in the lobby – probably in her early 30s – crying and being comforted by her companions. In between sobs I overheard her saying that the song Tell Me on a Sunday, from the musical Song and Dance, reminded her that it had been the last musical she had been to with her dad before he died. That memory has stayed with me. It taught me an important lesson about theatre that I have never forgotten, about how powerful it can be and the personal connections we make to it. It can be easy for the producer or theatre staff to forget that at the heart of it all is the power of experience and the personal connection with the audience. These experiences can be formative and long lasting. For example, 42nd Street is not necessarily a perfect musical and its book is decidedly flimsy in places. However, after seeing it revived at Drury Lane, I realise that it is a show I carry in my heart. It does the job of the best musicals: transporting its audience into another world, providing a glorious couple of hours of pure escapism and a tune or two to carry with them after they’ve left. It has left me with happy memories, which is why I will miss the show when the curtain comes down on its final performance on Saturday night. Christmas and new year’s celebrations are often a time of nostalgia, and some memories will be tinged with sadness at recalling the times with those who are no longer with us. This time last year, I wrote about the sad and sudden loss of Jamie Barber, the great director of Guildford’s Yvonne Arnaud Theatre. In 2018, Brian Kirk, the Yvonne Arnaud’s general manager and Barber’s right-hand man, also passed away. These two played a great part in encouraging my producing career. Together they gave me, and many others, passion, belief and sage advice. It may prove to be a particularly challenging year for the UK in 2019, and theatre’s role in bringing people together and entertaining them is never more needed. The escapism of a show offers a few hours’ relief from depressing news coverage, and is why my own new year’s resolution is not to check my phone during intervals. The end of a year can be a time for reflection. It’s why I’ve booked to watch 42nd Street again one last time this week. When I do, I’ll celebrate those memories and people that the experience affords me, in much the same way as I look forward to returning to the Yvonne Arnaud Theatre later this year. The start of a new year is a time to look forward. It is also a moment to remind ourselves of the experiences we – as producers, creative teams, stage managers, cast, theatre staff – come together to create for audiences and why we do it: experiences that can live long with people and that’s well worth celebrating.